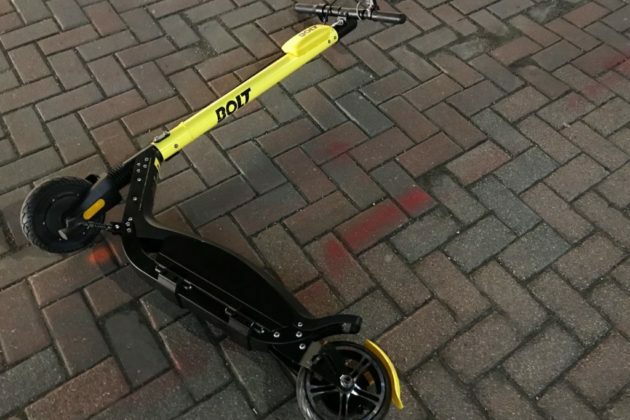 Yet another company is now offering dockless electric scooters around Arlington, as Bolt has now becomes the seventh firm operating in the county. 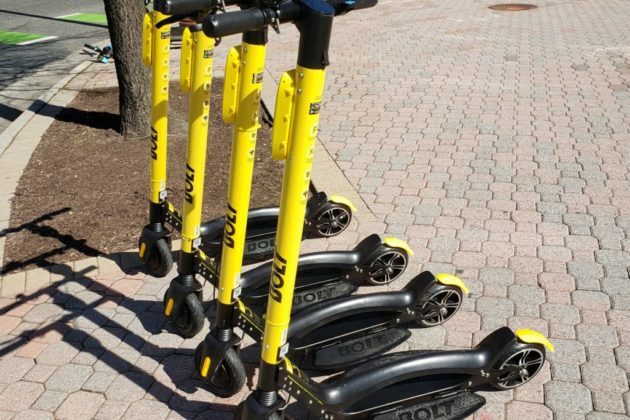 Bolt first began renting out its scooters in Arlington last Wednesday (Feb. 27), county transportation spokesman Eric Balliet told ARLnow. Like its six other competitors, the company is participating in the county’s pilot program for dockless vehicle providers, which is set to run through the summer and help Arlington officials determine the best way to regulate the technology. February was a busy month for scooter companies in Arlington, with three winning the county’s approval for participating in the program in the last few weeks alone: Skip, Spin and Jump. 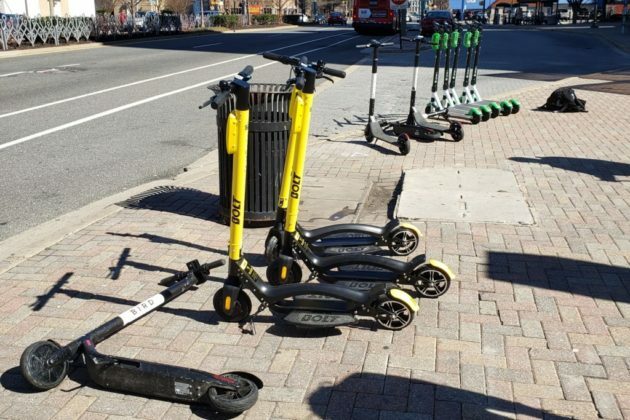 Bird kicked off the flood of scooters onto county streets this past summer, when it dropped hundreds of devices around the county. That prompted the County Board to sketch out a more formal pilot program to guide the process, clearing the way for Lime, Lyft and the others to follow suit. Under the terms of the pilot, the companies are restricted to operating 350 vehicles for their first month in the county, and can then apply for gradual increases each month (so long as they can meet certain ridership targets). Thus far, county officials haven’t recorded many problems with the scooters, though they remain a bit vexed in how to dissuade younger riders from using them or how to enforce the county’s ban on the scooters on local trails and sidewalks. The pilot program is set to wrap up in July, when the Board will subsequently consider passing a formal ordinance governing the devices.